There is a contemporary perception that women could not become doctors during the Civil War period because they were banned from medical college. But while their paths were not “strewn with flowers”, at the time of the Civil War, there were places women could go to study medicine. The Boston (later New England) Female Medical College was founded by Samuel Gregory in 1848. Gregory believed that women in childbirth were most modestly served by fellow women. Harriet Beecher Stowe was one of the first supporters. Originally a school of midwifery, in 1850 it expanded to offer a full medical degree program which emphasized a good English education and a thesis on some medical subject. Ninety-eight women earned medical degrees over the next twenty years. Brief biographies of many of these graduates are available here. Rebecca Lee Crumper graduated in 1864 and became the first African-American woman to earn a medical degree. After several mergers over the last century, the Boston Female Medical College is now Dimock Community Health Center. 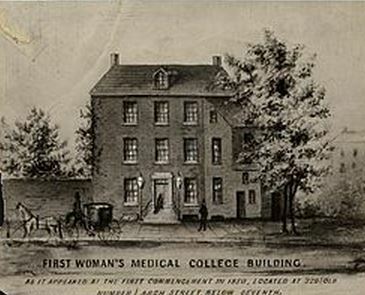 The Female Medical College of Pennsylvania, founded in 1850 and supported by Lucretia Mott, was the first medical institution in the world to offer M.D.s to women. Ann Preston was in the first graduating class and became a professor of physiology and hygiene at the college. Another graduate was Hannah Longshore who at the age of thirty-two graduated alongside Preston in 1850 and became the first female medical professor at the college. Her specialty was anatomy instruction using cadavers, and she gave popular public lectures on sexual health illustrated with life-size papier-mache models of the body and the actual preserved organs. This college closed in 1861 for the period of the war, but its place was taken by the co-ed Pennsylvania Medical College founded by Hannah Longshore’s brother-in-law. This college allowed women in on an equal basis with men where they attended the same classes. Here, Hannah Longshore taught co-educational anatomy classes. Both schools were met by fierce opposition from male doctors. The Boston medical establishment insisted women did not have the stamina to be physicians and would be incapable of acting in an emergency. The Pennsylvania Medical Society did not allow its members to consult with female physicians. 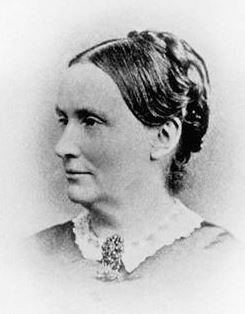 Women students at the Female College of Pennsylvania were banned from clinical practice at public hospitals until Ann Preston founded the first Women’s Hospital of Philadelphia in 1861. Even though she had over three hundred patients, Hannah Longshore could not get pharmacists to fill her prescriptions so she prepared her own medicines by hand. Who would have thought? Schools in the 70s at least, never taught or led us to find out much about women achievement beyond Clara Barton and the right to vote, Susan B. Anthony. I may have had some hints about Lucretia Mott, but otherwise even when women’s lib was strong, not much had made its way into the classroom. I am trying to fill in some of those gaps. Let’s hope lots of history teachers follow my blog and all the other ones detailing little known facts about women’s achievements.